Depending on who you talk to, the iPad is either biting into PC sales, or it may just be taking a small nibble. Either way, it is definitely not just the Apple faithful that are snapping up the tablet, and that is leading to a real mixed bag of people that are purchasing the newest device in Apple’s arsenal. 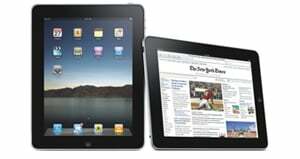 According to a new study by the NPD Research Group, the company surveyed 500 assorted iPad owners in the month of August. This focus group was made up of people they identified as “early adopters” (those who bought the iPad within the first two months of its release), and those who had purchased the device since that adoption window closed. The most important piece of information they found was that only 13 percent said they replaced a planned PC purchase with an iPad, but 24 percent had opted for the Apple tablet over an e-reader they had planned to purchase. Apparently it is the Kindles, Nooks and Kobos of this world that should be a bit more nervous. Not surprisingly, of the early adopter crew, 50 percent said they owned a Mac compared with just 11 percent of a survey conducted earlier this year owning a Mac at all. After the initial buying surge, the number dropped to 45 percent, still showing that will the Apple faithful are flocking to the new device, you can’t count them as the only people interested in them. Where the numbers may become a bit worrying for Apple is when you start looking at the satisfaction numbers. Of those listing themselves as “very satisfied” with the device, 80 percent of the early adopters went with this ranking while only 65 percent of the second group of purchases answered this way. Early adopters were 44 percent more likely to watch YouTube videos, 50 percent more likely to watch movies, 60 percent more likely to watch TV shows, and 38 percent more likely to be reading e-books. Where all users could get together was that 51 percent felt the lack of USB ports was a short coming for the device, but 60 percent of all users couldn’t name a single feature of the iPad they felt was overkill. What does all of this tell us about the “magical” iPad? That, in general, people are happy, but as with any first generation device there are shortcomings. Honestly, I don’t think we’ll ever see USB ports on any iteration of the device, it just doesn’t fit in with Apple’s need to control everything it makes. Allowing users to transfer files sans iTunes just isn’t in the cards for any Apple device as far as I can see. Will these same sort of numbers hold true for a second generation iPad? Only time will tell, but it does appear that while the majority of people are happy, the iPad is far from being perfected in everyone’s eyes as of yet. What say you? How are you finding the iPad fitting into your life?